The upgraded version of the Apple’s top-notch laptop is finally here after months of teasing. The company finally unveiled the MacBook, and it comes with some cool improvements over its predecessor. The new MacBook Pro is equipped with the latest 8th generation i5, i7, and i9 Coffee Lake professors. The all-new device comes with the latest upgrades form the company. Apple claimed that it is capable of offering 70 % better performance compared to MacBook Pro 2017. The new model also comes with company’s most talked about touch bar that also hikes up the price of the laptop. Looking at all the upgrades, the new MacBook seems to be a desired upgrade for the enterprise users. 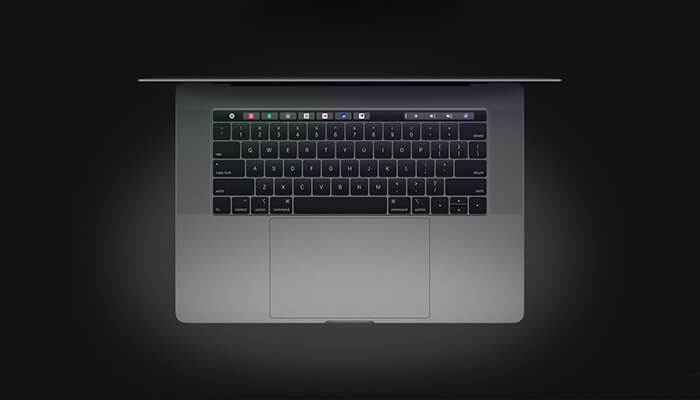 However, considering the extra bucks they have to pay for the controversial touch bar, they might get second thoughts about the upgrade. To sort out this confusion let's have a detailed look at the new MacBook Pro-2018 and what it has to offer against to its predecessor. Check out the Best Macbook at Netbooknews. As we already know that Apple believes in keeping the iconic design of its products. Similarly the Macbook pro the design of this year upgrade comes with no change. The lid is still bright and well finished along with the reliable hinges at the end. 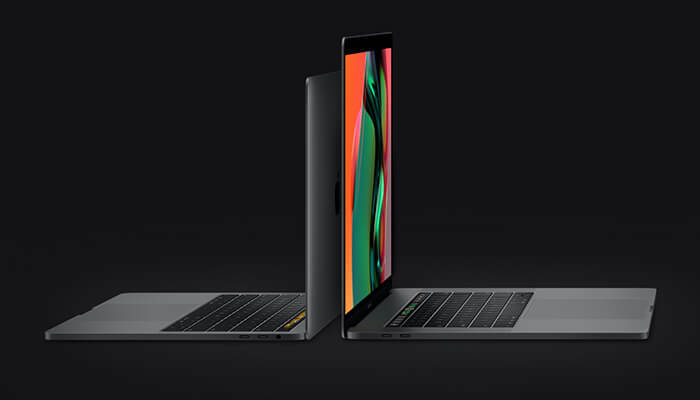 The display of the MacBook also remained the same, with 13 inches and 15 inches of the variants you will be getting the same Retina 2560X1600 and 2,880X1,800 display respectively. However many other competitors have already moved to the 4K display with Window 10 laptops. We also like to see Apple adopting the change in the display too; however the current display is quite excellent with such high resolution. With Macbook 2017 keyboard there were some issues that Apple said it has resolved in MacBook Pro-2018. The earlier model owns a keyboard that is too loud, uncomfortable and can break easily, which will cost a fortune to repair. In this year’s upgrade, Apple has replaced the keyboard with new 3rd generation butterfly keyboard. The new keyboard is more comfortable and less noisy compared to the last one. However, we don't know anything about the new keyboard in terms of reliability and endurance. This is the section where all the hard work of the company could be seen that makes the new upgrade a worthy option. Surprisingly this year Apple isn't making its fans to wait longer to get their hands on the MacBook Pro 2018. The company announced the new laptop on July 12, and it is available for the consumers to buy worldwide. However, for now, the MacBook Pro is available only on the Apple website to order online. Once you placed the order, you will get the shipment between 2-3 days within the US. Besides, the MacBook Pro will take one more week to get into the retail shops for the consumers. This year’s launch comes with two different model including the 13-inch and a 15-inch Macbook pro both having the Touch bar. For 13-inch MacBook Pro that comes with a quad-core 8th-generation Core i5 along with 8GB RAM and 256 storage, you have to pay $1,799. 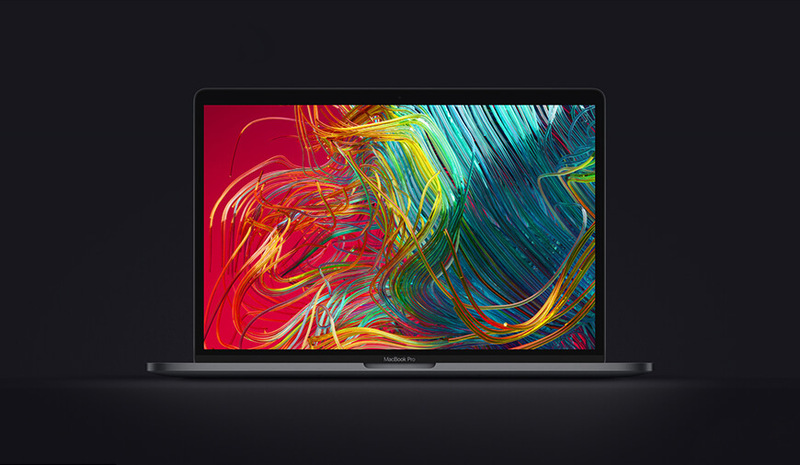 The 15-inch Macbook pro having six-core Intel Core i7 processor with 16GB of RAM and 256GB storage will cost $2,399. If you want to beef up your MacBook with the Intel Core i9 processor, 32GB of RAM and a 4TB SSD configuration then you need to pay $6,699.